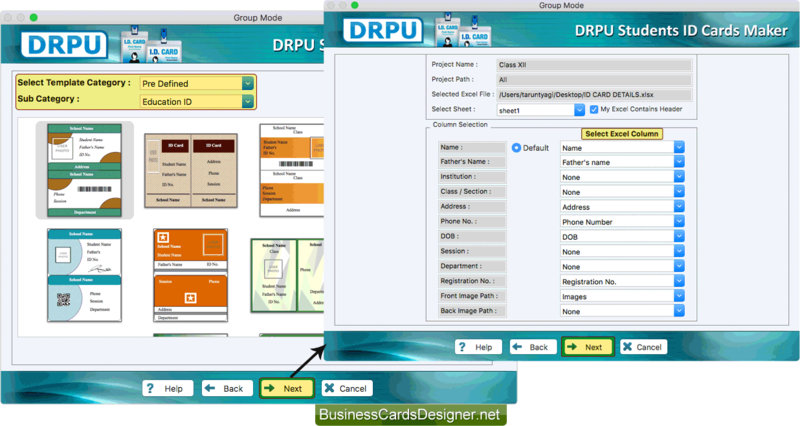 Software provides two modules for creating multiple student ID cards, choose any one module. In next screen, select any one option either 'Start with new project' or 'Select existing Project'. Choose any one pre-defined template and then select excel column for adding student details on ID cards. Here you can see Front side of designed student ID card. 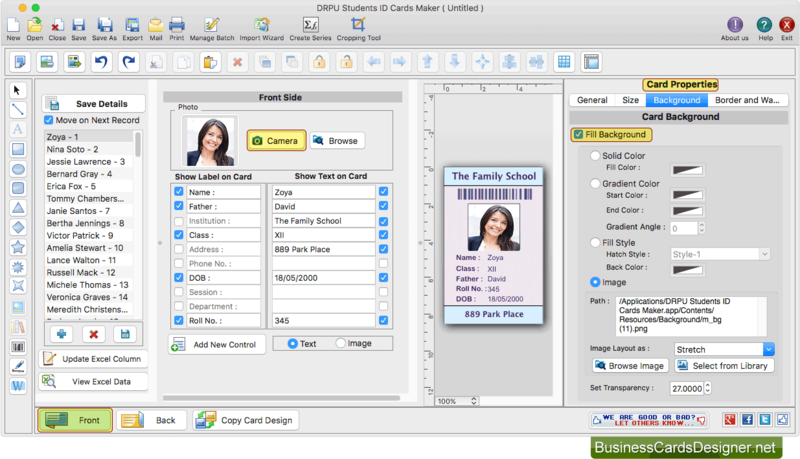 Software provides camera settings feature to capture photo and add on ID card. 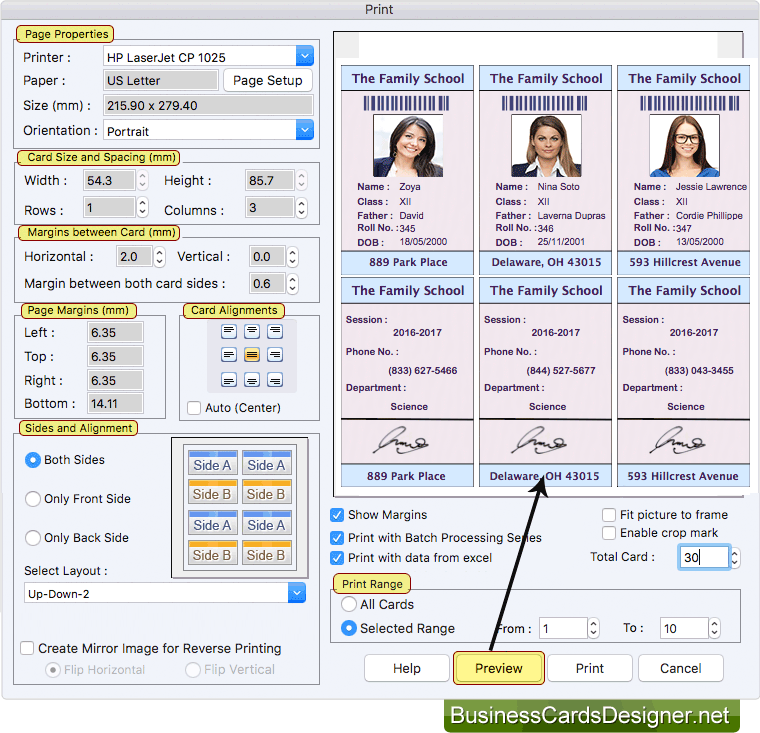 To print designed student ID cards, adjust various print settings and click on Print button. Using Preview option you can see the preview of designed student ID cards.